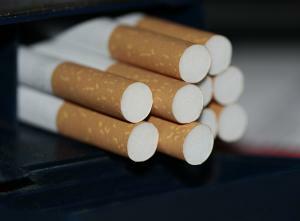 An independent car dealer in Bradford has been caught with 46,000 black market cigarettes in one of his vehicles. Tudor Strisca, 26, was sentenced by Bradford and Keighley magistrates after police stopped his car and found two suitcases full of the cigarettes. He admitted possessing the cigarettes with intent to supply and was given a 12-month community order that includes 50 hours of unpaid work and £958 in prosecution costs. It goes without saying that remaining on the right side of the law is of utmost importance for motor trade professionals – one such consideration is to make sure they are insured while on the roads. Car dealers will regularly need to drive the vehicles they are selling, this means they will require a road risks insurance policy so they are legally covered while behind the wheel of their vehicles. Mr Strisca’s offence dates back to March this year, when he was found in possession of Minsk cigarettes with intent to sell. The products are illegal in the UK as they do not contain a statutory health warning, the Bradford Telegraph and Argus reported. David Lodge, head of West Yorkshire Trading Standards, said: “Health warnings on tobacco products enhance consumer knowledge of the dangers of tobacco use.